Hello! Sorry for the radio silence the last week. Things have been nutso this month. Last week we had a big event at school that included our annual PTA bake sale, school spirit wear t-shirt booth, and Scholastic book fair. It was fun but boy did it consume lots of my time. 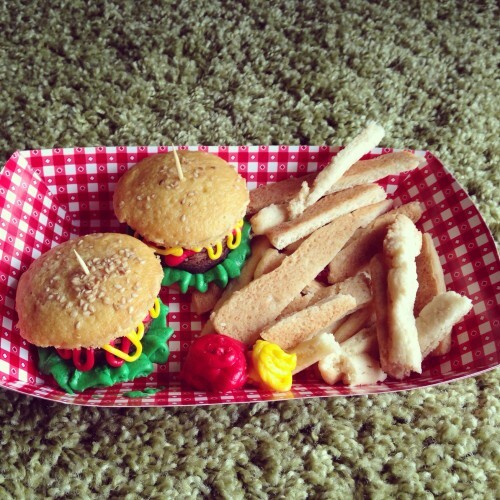 I made cupcake burgers and sugar cookie fries for the bake sale –they were a HUGE hit and sold immediately. When you are super busy you need to have dinners or after school snacks that you can cook up quickly. This foots the bill for both. Trader Joe’s makes such good garlic naan. You can find it in the freezer section. I could eat it by the basketful. If you don’t have a Trader Joe’s near you check out the freezer section at your favorite grocery store for frozen naan. 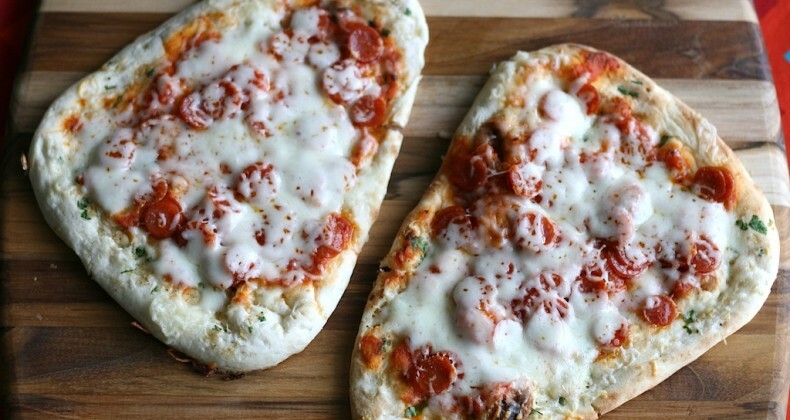 Using frozen naan allows you to make these pizzas and eat them in under 10 minutes. Bake for 5 minutes or until cheese is melty. I am going to do a post about it soon since I have to make some for a special order! Yippie! The cupcakes & cookie fries are adorable. 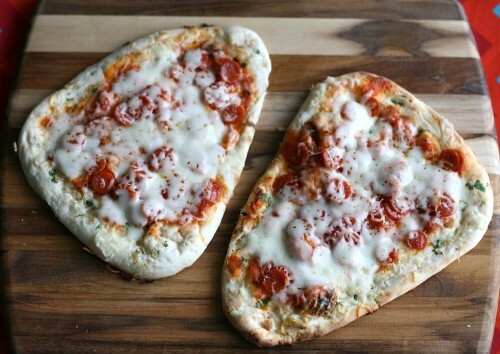 The naan pizza looks tasty too. Jamie, I love Naan pizza, too! I love how the tangy yogurt dough works with pizza toppings. And I adore TJ’s garlic naan. Man, I may need to pick some up for dinner tonight! What a great bake sale item! Adorable too! Genius!! I love TJ’s naan too. Now I’m going to go stock up on it so I can make this as an easy lunch for myself! Thanks for linking up to Wake Up Wednesdays! 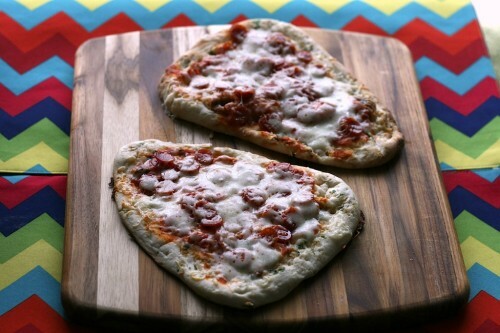 I love garlic naan pizzas! I make them all the time for lunch. So yummy. I pile mine up with green peppers, onions, roma tomatoes and a couple different cheeses. I am getting hungry just thinking about it!